There's more opportunity for some great photos on your wedding day if you add a little extra time to your Maui wedding package and have some pre wedding shots done in the hotel room. Usually we photograph just the bride along with her entourage, getting ready, zipping up the dress, doing a little touch up on the hair and makeup and basically clowning around. These moments are great to have as a memory of those last moments of being single! Laura and Wes decided to add the time to their wedding package and also booked a semi private lawn area overlooking Kapalua for the ceremony. We had a great time and produced some killer images! 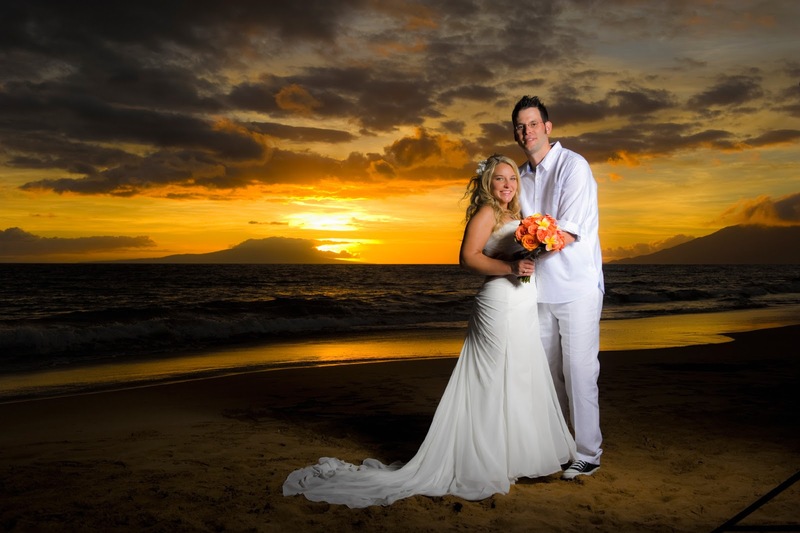 Call your Maui Wedding Planners at 808-242-1100 to book your special day in Maui! June brides are a fortunate bunch. June brides in Maui even more so. The weather in June here in paradise is perfect for a late afternoon ceremony either on the beach or at one of our world class private or semi-private wedding venues. Maui has 2 resort areas with accommodations that range from hostels to 5 star hotels. The wedding professionals at Marry me Maui can direct you to the best beaches or venues whether you're staying at the Ritz in Kapalua or the 4 Seasons in Wailea. You don't have to rent the grounds at your hotel, you can buy out a restaurant, hang loose on the beach or rent a private oceanfront estate for the day. We can certainly work within your budget and give you insights as to the best restaurants to fete your friends and family after the ceremony.